Every golf player knows that he or she requires the best golf glove for sweaty hands. This is because when playing golf, your hands are prone to sweating, especially for people with sweaty hands naturally and those playing in humid weather. This causes your golf club to keep slipping off your hands. They are differentiated according to various features and we are here to look at the top rated ones in the market today to find right choice for you. This article looks at the 5 top best golf gloves for sweaty hands and a sweat proof spray to help you know where to put your money for maximum benefits. Why do you need a golf glove for sweaty hands? Before using a golf glove, you need to meet a professional player who can advise on the best way to use it. Poor usage can cause them to get torn or develop holes. If yours has holes, it means that you are gripping your golf club with the palm of your hand too much and little grip with your fingers. When it gets a tear on its finger section, it means that you are using your fingers too much. Some questions you need to ask yourself before picking out the best one for sweaty hands include how big it should be, what kind of weather you will be playing in, and the material from which it is made among others. We look at the key features to look out for when buying the best glove for sweaty hands. Materials: most golf gloves are made using leather and synthetic leather. Most players will prefer to have both for their individual benefits in various conditions. When buying a pair, therefore, pick them according to your playing needs and budget. Let’s look at the materials below. Leather: Aside from lasting longer and providing more comfort, they offer an excellent grip even for rain gaming. They, however, are quite expensive. They are great for amateurs and professionals alike as they offer superior grip and durability. Synthetic: A synthetic one is very affordable and provides a good grip especially in harsh weather conditions for example, mesh gloves that are ideal for hot weather. Synthetic material makes the best summer golf gloves as they are not too warm. These are ideal for people who like a light, flexible, and stretchy feeling. Synthetic ones are also great for playing in all weather. All weather gloves allow you to keep playing no matter the conditions. They are mostly made from synthetic materials which give a better grip and offer maximum breathability. Micro fibers on the fingers and palms stand up to help create more friction. They also feature warmer material on top to keep you warm in winter. One example of a common synthetic one is a mitt. Mitts are made from wool and are ideal for cold days and winter but they do not provide a good grip. A Mitt is designed to be worn on top of normal gloves and are important for maintaining temperature. However, they offer very limited functionality and it is not advisable to play in them. Size: they come in different sizes for both men and women. When buying a golf glove, it is critical to ensure you get a tight fit for your entire hand. The most common sizes of a golf glove are the regular sizes and golf cadet gloves for small hands. Other manufacturers differentiate in large, medium, and small size, and roman sizing categories that include XL, XXL, and XLL. With a wide range of options available, you need to ensure that there is little material between your finger ends. Made by Calloway, this glove comes in both hand orientations and different sizes. In this product, Calloway promises value, performance, and durability. One of the premium golf gloves in the market right now, it features perforations on the fingers and palms for increased breathability and reducing moisture. It is made of high quality leather that gives an amazing fit and longer durability. The cuff is made of cotton giving it a great feel. It also features an Opti-fit closure that allows you to adjust for a better and secure fit. Arguably the best leather golf glove for sweaty hands, the Callaway Dawn Patrol is a great buy for anyone looking to combine class and functionality. Price history for Bionic Gloves –Men’s StableGrip Golf Glove W/ Patented Natural Fit Technology Made from Long Lasting, Durable Genuine Cabretta Leather. Made using patented technology, these funny golf gloves boast of a superior ability to prevent fatigue giving you perfect swings. Bionic have crafted a name in the market by coming up with high quality golf gloves designed by an orthopedic hand professional who utilizes patented technology. When the micro fibers on your Bionic get wet from sweat or rain, they become sticky. This helps them remain firmly on your hand. Fingers on the Stable Grip are pre-rotated meaning that the material is held in place which reduces friction. This glove features 3 dimension finger pads and design that conforms to your hand shape for superior comfort and a great grip for a perfect swing always. The Stable Grip has breathable Lycra in all motion zones including your fingers web zones and knuckles. Lycra keeps your hands dry and increases flexibility to give a great swing. Featuring Bionic’s pad technology, these high quality gloves are ideal for newbies and professional golfers looking for that perfect grip. 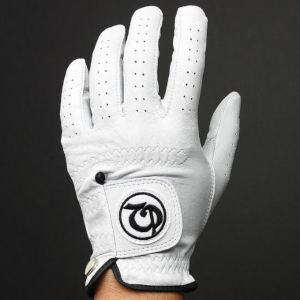 Wet hands reduce your grip on your golf club, and these have been designed to be the best wet weather golf gloves. Made by FootJoy, these stylish black beauties come in a pair and the manufacturer is generous enough to throw in a free towel. The Rain grip has Autosuede on its index fingers and palm for a superior grip. Microfibers in the Autosuede stand up when the glove gets wet which improves its grip. It is made of QwikDry material on the back for increased flexibility and breathability. The back also features quick drying elastic bands for more flexibility. This FootJoy also features air vents for maximum air circulation and for quicker drying making it ideal for playing in the rain. Its angled tab has an elastic closure for precision fitting offering you a perfect grip in wet weather. Verdict: Do you love playing in the rain? If you do, this is a great option for you since it offers amazing breathability and grip. You can even wet it before playing to experience its amazing drying and grip capabilities. Made by Nike, which is one of the biggest golfing brands in the world, you can be sure that these will provide nothing short of quality and durability. Made from polyurethane, nylon, and goatskin, it is highly durable and functional. Nike has taken its time to incorporate these materials into critical parts of the glove for optimal performance. It is made with pure leather on the thumb and palm parts, which is great for increased grip and durability. The back and finger sections of the glove are perforated for added breathability to reduce sweating. Nike is a great brand and have taken time to combine all the important features that make the best golf glove for high handicappers. This left hand glove from Mizuno offers a great feel and helps you make great swings in any weather thanks to its synthetic construction and leather pads. Made from a high quality synthetic material, this product offers a great fit guaranteeing great performance. The strong material makes it great for all-weather playing. The thumb and palm pads, which are the most used parts of your glove, are made of high quality leather adding to its durability. It also features 3D cut thumb and palm pads for precise gripping using all the required pressure points. 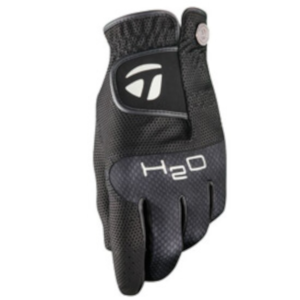 Additionally, it is also quick drying, making it one of the best golf rain gloves. However, the Mizano is not ideal for left handed people as it only comes in the left hand orientation. This quality glove is very comfortable and enhances performance as described by the manufacturer. Made by Grip Boost, this spray is manufactured to perform through wet playing conditions in one spray. It was created by NCAA athletes and Ph.D. Chemical Engineers from University of Maryland. This spray is meant to create a strong grip during wet conditions. It adds a long lasting grip to your gold glove or golf club by repelling moisture and sweat. Grip Boost Grip Enhancing spray works by making your hands water resistant, which prevents slippage and gives you a clean swing. Additionally, it can be used for other games as well to give you confidence for a great game. It is a great addition to have in your golfing bag since it works very well when applied correctly so you do not have to use sweat as an excuse for not making a great swing. We have intensively looked at golf gloves for sweaty hands, a buying guide, and reviewed some of the best in the market. However, even with all this information, questions might come up later on an ongoing basis. The answers to these queries might not be available easily. That is why we have compiled some of the commonly asked questions to help you understand more about them. We answer the questions based on our professional knowledge and from a wide range of sources. Below are some of the commonly asked questions in regard to golf gloves for sweaty hands. What is the difference between Cadet and Regular golf glove? Regular ones are ideal for people with proportional hands while cadet ones are made for people with smaller and wider hands. Cadet ones are only available in selected men’s gloves. Regular ones of the same size are shorter at the fingers and wider at the palm.The difference is a centimeter in measurement for both the palms and fingers. Most people do not know the difference between these two. Cadet gloves make the best golf gloves for hot weather, especially for people with short wider hands. When choosing a good one, choose an appropriate size for sweaty palms and if not sure, make sure you ask an attendant where you will be buying for help. Does wearing a golf glove help? Yes it does. A golf glove adds to thegrip of yourclub for sweaty hands, which ensures that you make a great swing. It also helps prevent accidents that would have occurred if a golf club slipped out of your hands. They are also great at preventing blisters from forming on your hands. Since a golf club should be held tightly, gripping it hard might cause blisters on your hands. For an ultimate golfing experience, purchase ones that offer the best golf grips for sweaty hands. How do you determine golf glove size? Wrap a measuring tape around your knuckles to measure your hand circumference. Make sure to include your thumb. It is important to remember the hand orientations dynamics. If you are left handed, measure your right hand and your left if you are right handed. Next, check your size from a glove size chart here on Nike.com. Pick the smaller size if your measurements are in between sizes since they require a firm fit. On cadet sizes, the palm size is one centimeter wider and the finger size is one centimeter shorter than on the standard gloves. Hands down,Callaway Men’s Dawn Patrol is our choice for the people with sweaty hands. Not only does it offer premium breathability and performance, it is also very durable. This leather glove is ideal for people with sweaty hands due to its perforated back that allows a continuous airflow while giving you an excellent grip. Our pick for the best golf glove for hot weather is Bionic Men’s Stable Grip. Lightweight and easy to use, this premium product has Lycra that keeps hands dry and increases flexibility. NEW FootJoy Rain Grip Rainy Day Bonus Pack is our choice for the best golf rain gloves. They have a very secure fit to prevent slipping. Made using Autosuede on their fingers, they provide a better grip in the rain and are quick drying. The best golf glove for beginners has to be Nike Dura Feel VIII Men’s. Made from quality materials that are located in its critical parts, it provides a comfortable playing experience even for a first timer. For the best wet weather golf gloves, we choose Mizuno 3 NEW Comp Men’s as itis made from quality synthetic quick drying material. The above featured products are great options as they feature protective capabilities against moisture when playing golf. It can be very frustrating and dangerous when your golf club slips off your fingers. This guide will help you choose the ideal one for all you playing needs. We have also featured the Grip Boost Sweat Proof Grip Enhancing GB Golf Spray as a great option to help with sweaty palms and grip for people who do not like playing with gloves. Don’t forget to read our golf club grips reviews. There you know how to choose the best.